We'll start 2015 with a number of interviews with independent watchmakers from all over Europe, starting with Sweden's Halda Watch Co. What they have accomplished with their Space Discovery and Race Pilot is absolutely amazing. Today Johan Sehlstedt will start with the first of a two part intereview with CEO Mikael Sandström, Halda Watch Co.
JS: How come you choose to revive Halda 1887? Mikael Sandström, Halda Watch Co: - Halda Watch Co was the first watch factory in the north of Europe with an important watch history and industrial history in Sweden. I have been fascinated by the Halda history and 25 years ago I stood in the original factory from 1887 and tried to negotiate to receive the rights for Halda. It didn't work then but it took another 18 years and I finally managed to purchase the rights. Late 1800's and early 1900's Halda manufactured exclusive watches and received several international awards, for example, in 1893 the company won the gold medal at the World Exhibit in Chicago competing with the very best watch producers at that time such as Patek Philippe. 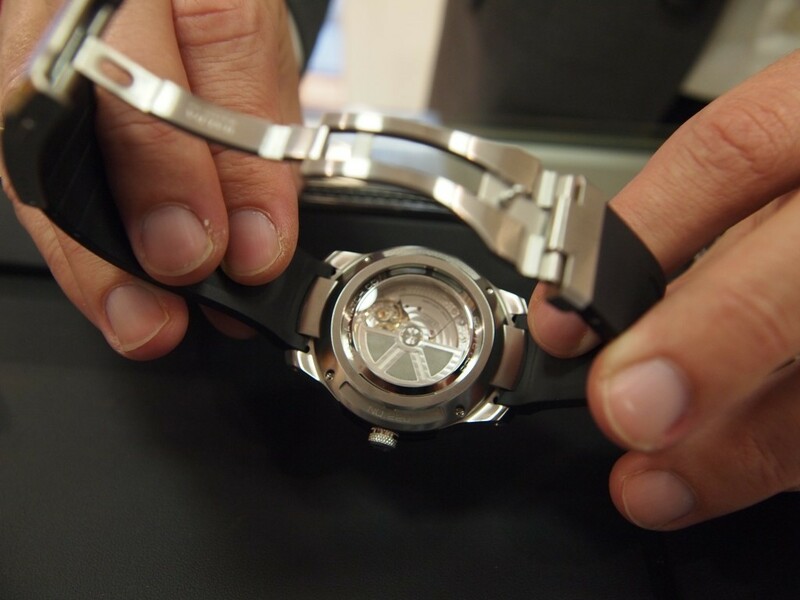 Caseback of Halda Race Pilot, Mechanical Module. Mikael, continues: -The founder of Halda had a motto: If you are determined to become the best you can never compromise – ever. This motto has been a guiding star for Halda and even now we live by the legacy of uncompromising quality, functionality, style and innovation in everything we do and every timepiece that we produce. JS: As an independent watch brand in Sweden/Scandinavia- what does it take to get recognised? Mikael Sandström, Halda Watch Co: It's a tough challenge to get attention on the international market, especially if you are competing in the premium segment. 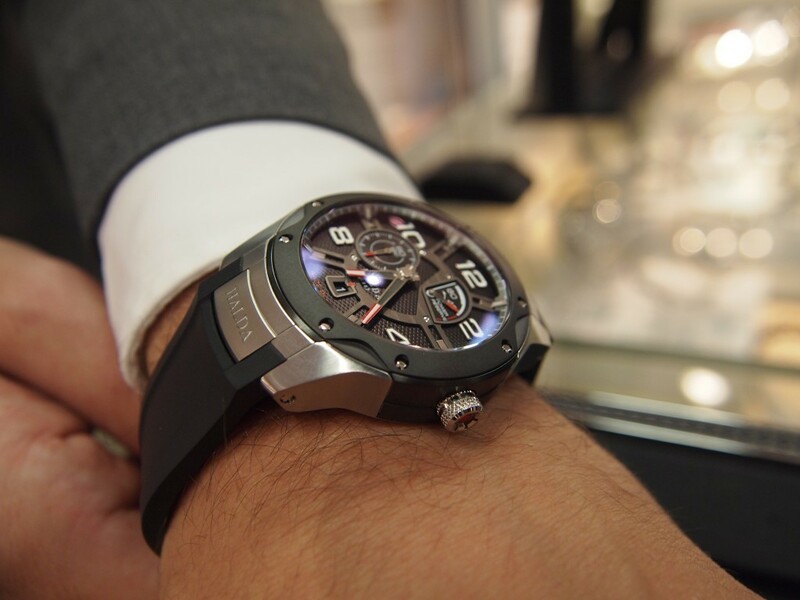 You need to have a watch that has something special, like Halda with an interesting history from 1887 and based on a unique innovation, or you need a lot of money for marketing – or preferable both. 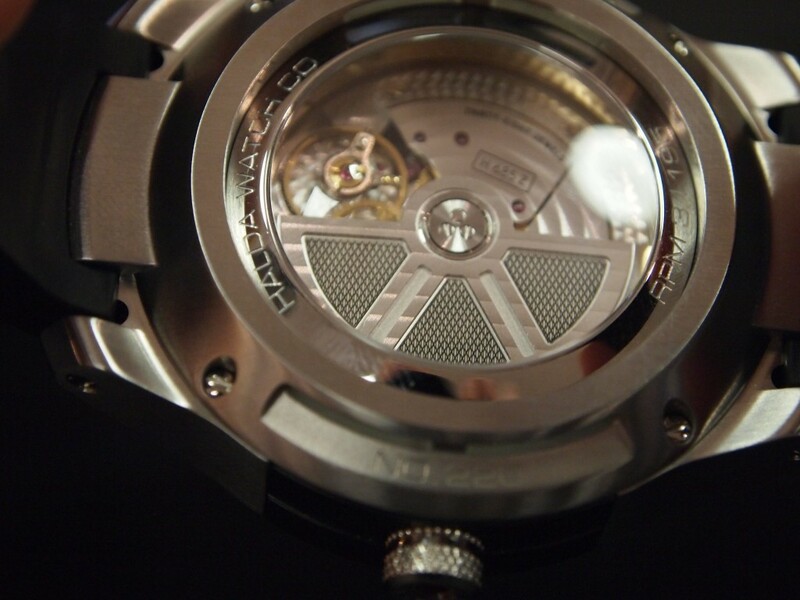 Caseback of Halda Race Pilot, The Rotor of the Mechanical Module. JS: Do you feel that the watch market is ready for Halda Watch Co? 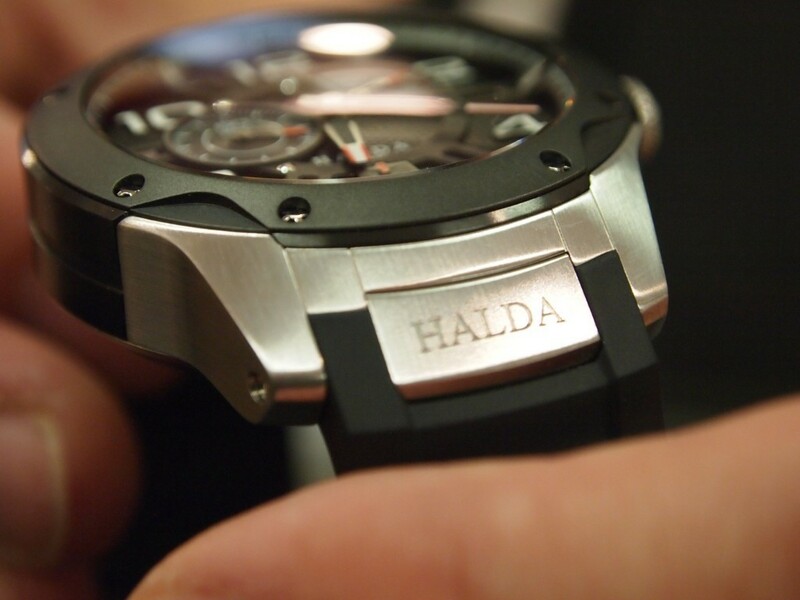 Mikael Sandström, Halda Watch Co:- The Halda Team worked for around 6 years developing the unique concept and advanced watches so actually we are now going from the developing phase to marketing and sales. It's not about if the watch market is ready for Halda, it's Halda that is ready for the watch market. Dialshot: Halda Race Pilot, Mechanical Module all on its own. JS: What is your opinion on Quartz, Automatic, Manual Mechanical movements? Mikael Sandström, Halda Watch Co: - Even though quartz movements isn't as fascinating as mechanical ones I think the watch industry has neglected the quartz movements a bit, not recognizing it's benefits. If you wish to have both the passion and functionality that helps you in your daily life, you need to have both mechanical movement and digital quartz technology. For example, with the Halda Race Pilot watch, the mechanical movement is Zenith and the digital is a repairable, in-house electronic quartz movement. Todays Wristshot: Halda Race Pilot, Mechanical Module. The Halda watches are built on a concept that consist of both a mechanical movement which stands for the history and passion but also digital, sophisticated technology built on quartz technology which stands for advanced and convenient functions. 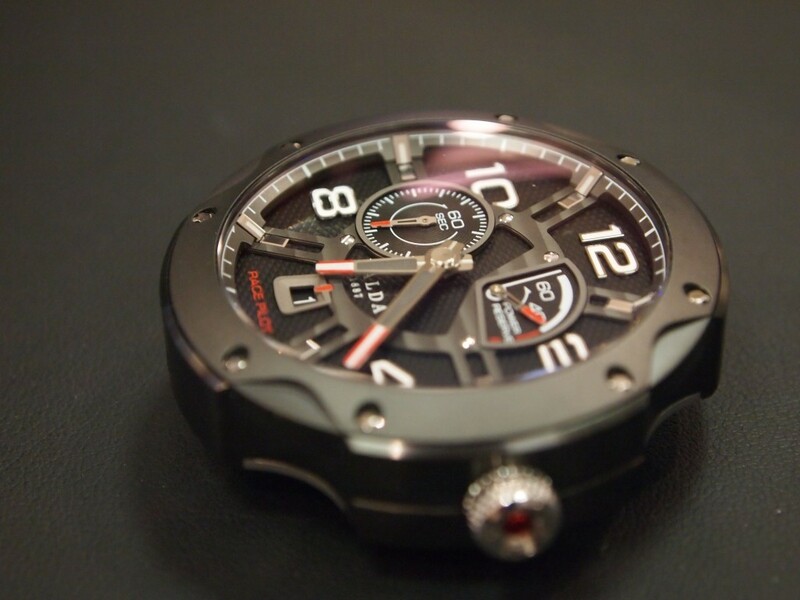 This concept is our way of presenting the perfect timepiece, one that is adaptable to different moments in life!